Canadians have officially survived winter. It’s time to pack away the parkas and get ready for some big nights out on the town. We’re pleased to announce the 100 Best Restaurants in Canada for a Big Night Out 2019 to help diners navigate the latest hot spots for great dining and a fun night. These awards reflect the combined opinions of more than 550,000 restaurant reviews submitted by verified OpenTable diners for more than 2,500 restaurants in Canada. The Big Night Out list includes the latest places to see and be seen in more than 25 cities across Canada. 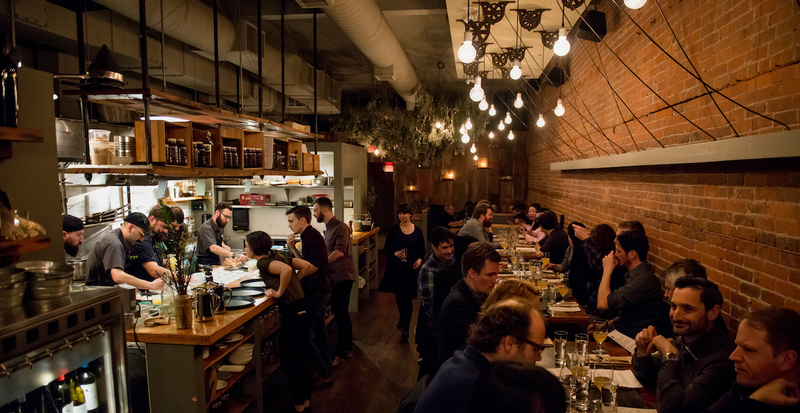 Ontario leads the late-night dining scene with 52 restaurants. Of those establishments, 38 are located in Toronto, which is the most-featured city on the list. Three other major Canadian cities are closely ranked for the next greatest number of restaurants, including Vancouver, Montreal, and Calgary. Provincially, Alberta has the second-highest number of restaurants with 14 establishments, followed by British Columbia with 12 and Quebec with 11. The east coast is also represented with five bustling establishments. Featured on the list are popular vibrant dining spots such as Wildebeest (pictured above) in Vancouver, upscale gems like Foxy in Montreal, and food-first hotspots like Model Milk in Calgary. Mexican, Japanese, Portuguese, and vegetarian were among the 39 different cuisines included, with Italian and French being the most popular cuisines on the list. OpenTable’s list of the 100 Best Restaurants for a Big Night Out in Canada 2019 is generated solely from diner reviews collected between March 1, 2018, and February 28, 2019. All restaurants with a minimum “overall” score and number of qualifying reviews were included for consideration. The overall score is made up of unique data points, such as overall diner rating, user klout, total number of reviews, and regional overall rating. Qualifying restaurants were then scored and sorted according to the sum of tags for which “hot spot” was selected as a special feature. Have you dined at one the 100 Best Restaurants in Canada for a Big Night Out 2019y? Tell us here or on Facebook, Instagram, Pinterest, or Twitter using the hashtag #OpenTable100. And, remember to snap + share your #dishpics with us on Instagram for a chance to win in our weekly giveaway.